We propose to broadcast six DAB digital radio services to the Portsmouth area, if we are successful in our application to Ofcom. This page explains a little bit more about our proposed services. A new spin off service from Angel Radio, ANGELxtra will broadcast dance band music from the 1920s to 1950s by day and easy listening music from the 1940s to 1950s by night. Angel Radio has been broadcasting to Havant since 2002 on 101.1FM and on DAB Digital Radio to South Hampshire since 2010. Angel Xtra allows Angel Radio to offer even more programming from bygone times. 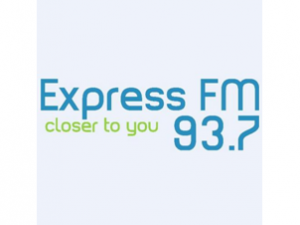 Broadcasting useful information, supporting local music and sounding different to other services, Express FM is a popular local community radio service for Portsmouth. Featuring music, talk and live Portsmouth FC commentary, Express FM has been broadcasting to Portsmouth, from Portsmouth, on 93.7FM since 2006. An exciting service from Highbury college playing chart hits of the moment, and guilty pleasures of the past. 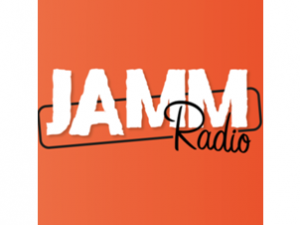 JAMM Radio is the only local service with programmes made by students for students. Currently an internet broadcaster, being on DAB digital radio will allow the service to be heard on terrestrial radio for the first time. The Flash is an alternative to pop music services with a diet of classic rock singles and albums from 1960 to 1990, featuring blues and music from local bands. Based in Havant and broadcasting on the internet, The Flash has also had occasional licensed temporary FM transmissions to the Havant area. A service aimed at 20 to 44 year olds playing current and classic hits. 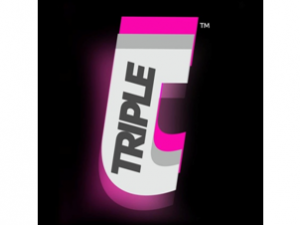 Triple Hits currently broadcasts on DAB digital radio in Somerset and Bristol. The service aims to cater for the generation that are too old for Radio 1, but too young for Radio 2 playing a mixture of familiar current and classic hits. Unfortunately we can’t reveal the provider of our dance music service right now. However, what we can say is that our dance music service will play upfront dance music, and specialist dance music, aimed at 15-30 year olds. Want to sample our proposed services? We’ve told Ofcom the identity of our dance music service, but will reveal the details publicly upon award of our licence. Local radio operators are hoping that the City of Portsmouth is one of ten pilot areas licensed by radio regulator Ofcom to trial small scale DAB digital radio services. If successful in their application, transmissions could start as soon as July. The application is a collaboration led by Angel Radio involving local community broadcasters Express FM, JAMM Radio and The Flash that plan to bring more choice to DAB digital radio in Portsmouth. Angel Xtra – a spin off service from Angel Radio broadcasting dance band music from the 1920s to 1950s by day and easy listening music from the 1940s to 1950s by night. Express FM – a simulcast of the popular local community radio service for Portsmouth featuring music, talk and live Portsmouth FC commentary. JAMM Radio – a service from Highbury college playing chart hits with programmes made by students for students. 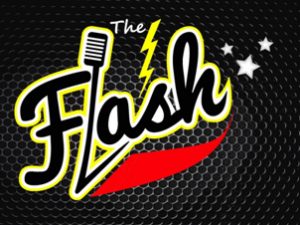 The Flash – a classic rock service featuring blues and music from local bands. Triple Hits – a service aimed at 20 to 44 year olds playing current and classic hits. A dance music service will also feature. “Many people are aware that much of the offering from commercial radio stations is homogenised and lacks real variety. We are proud to be working in partnership to not only geographically extend own range of ‘Passionately Portsmouth’ programmes but also to support this opportunity to fully extend listener choice in and around Portsmouth”. The Ofcom trial will last for up to nine months. Once the trial concludes Ofcom will form a policy on how to formally licence small scale digital radio services for longer periods. Celador Radio’s The Breeze was offered the opportunity to join the application but declined. The identity of the dance music service has been disclosed to Ofcom, but is confidential for the time being. The trial licence, if granted by Ofcom, would commence in July and last for up to nine months. A website at www.solentwireless.com will provide updates about the application. We’ve just submitted an application to Ofcom to run a DAB digital radio multiplex for the Portsmouth area. More details will be added to our website shortly. Thanks for visiting.